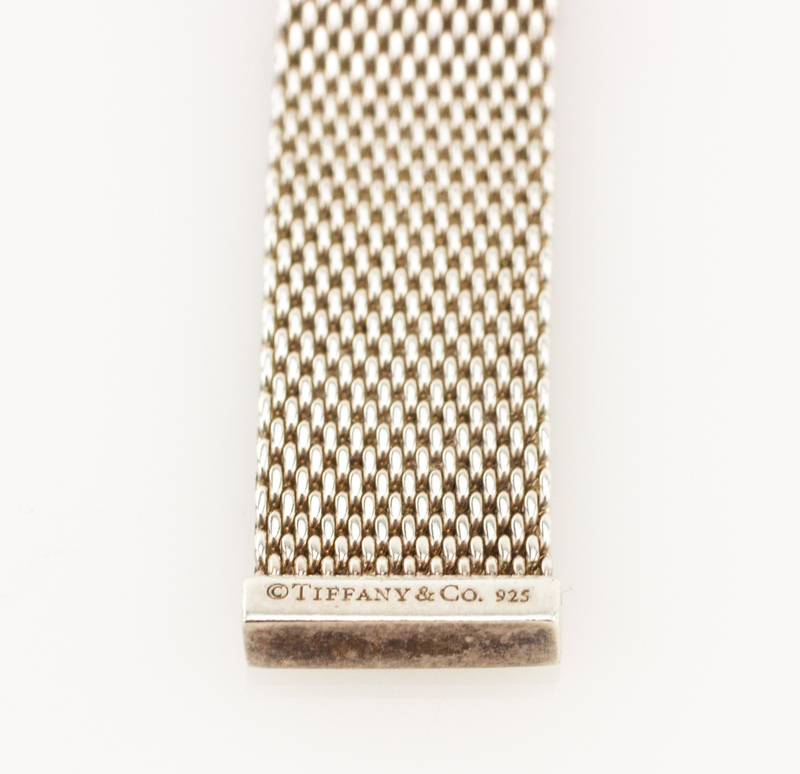 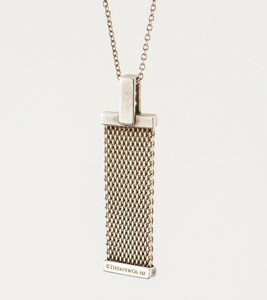 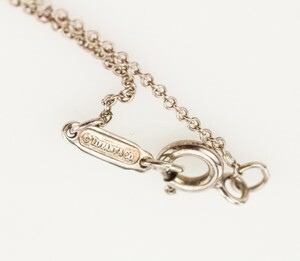 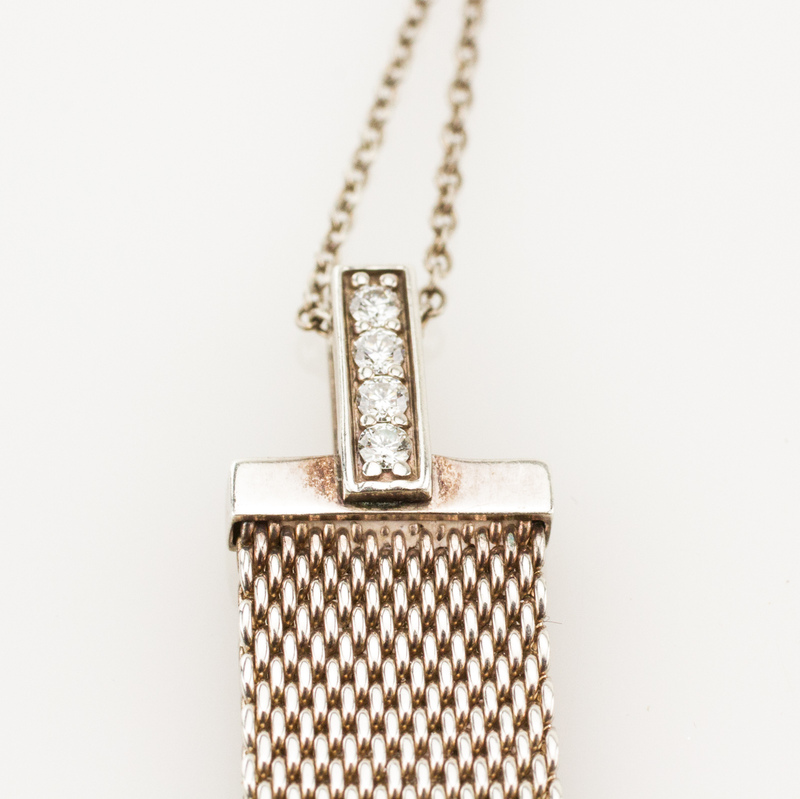 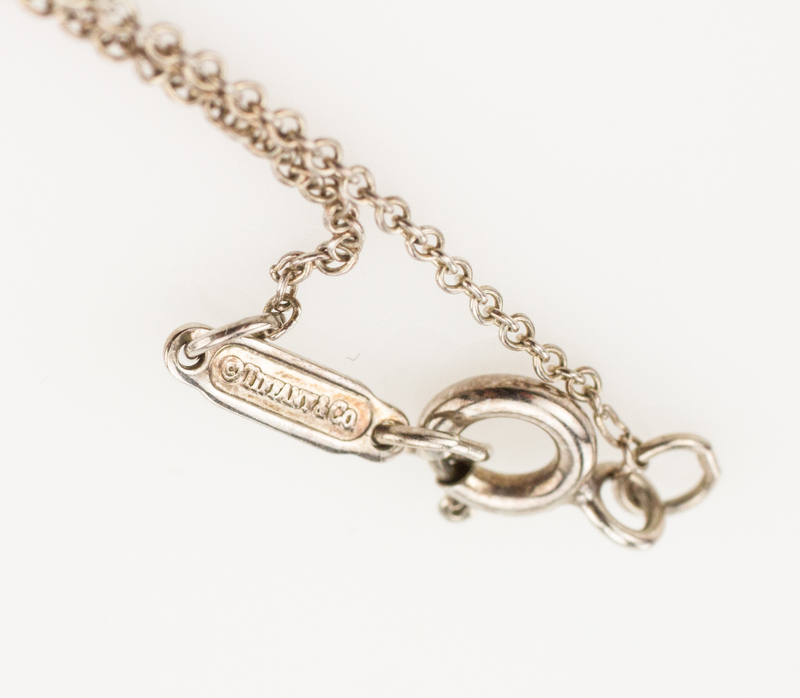 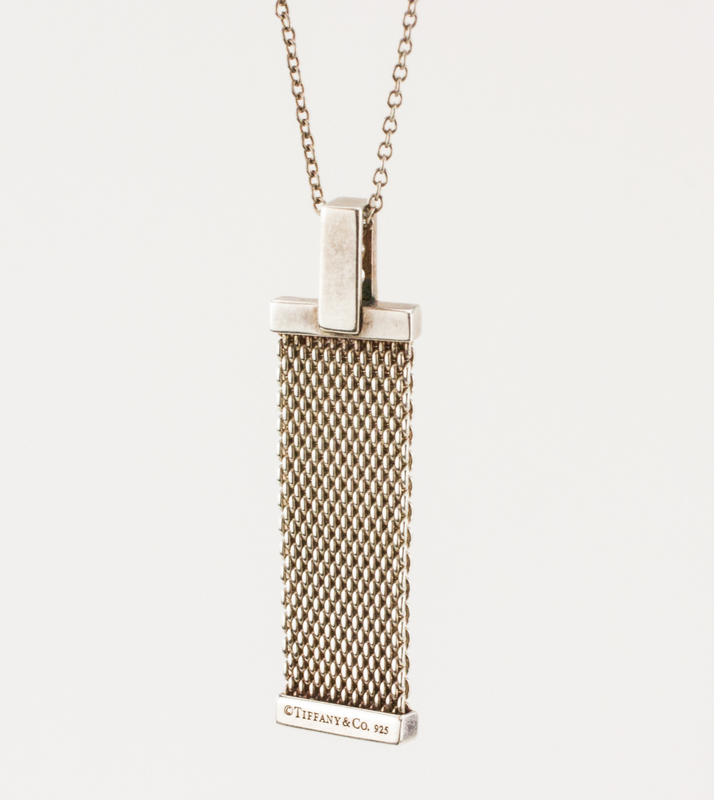 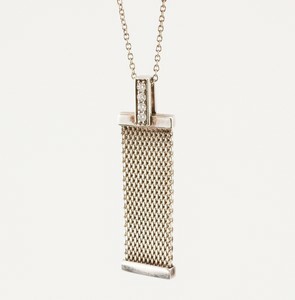 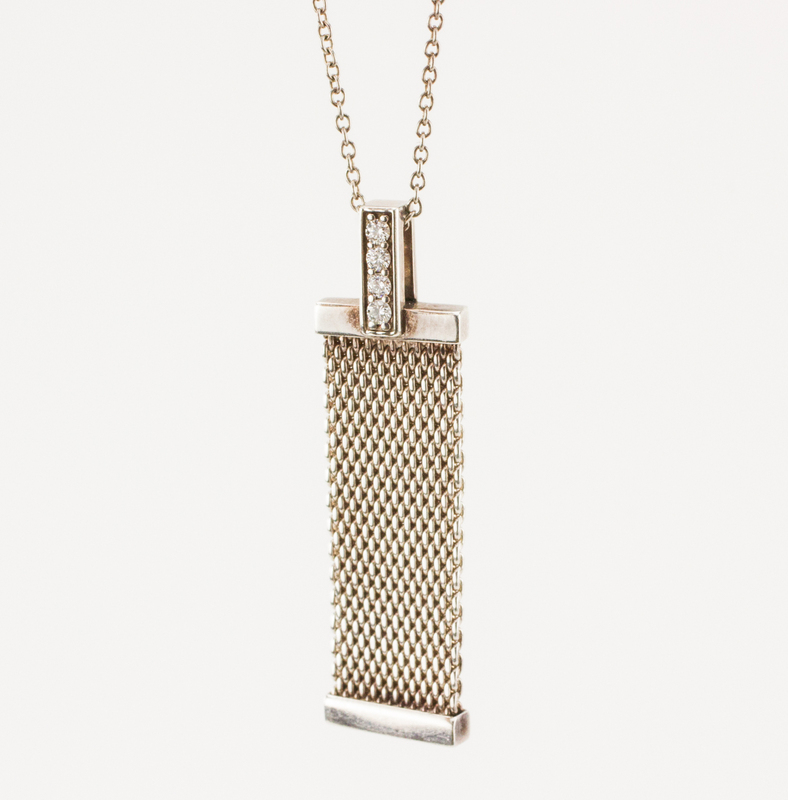 TIFFANY & CO Sterling Silver Mesh and Diamond Pendant Necklace. 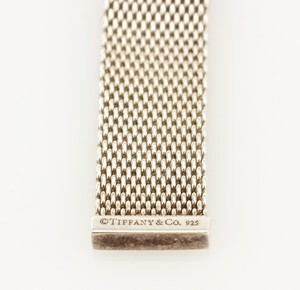 9 1/2" long. 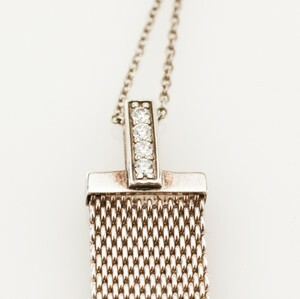 Pendant is 1 1/2" long.